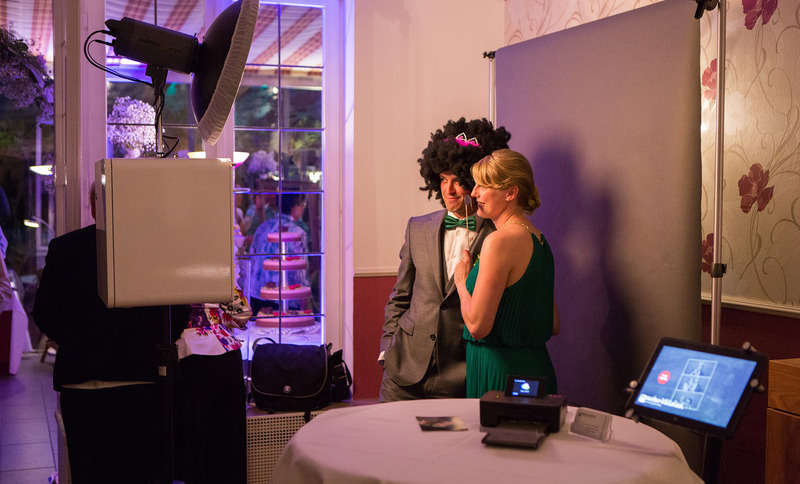 Oliver Krause, an Instant Photo Booth user in Germany, has built a very nice DSLR-based free standing photo booth. Powered by a low cost Windows tablet, his setup automatically takes pictures and then transfers them via WiFi to a small Windows tablet running Instant Photo Booth. Instant Photo Booth displays a gallery of the incoming images. Users can select which images they like and then which photo layout they like best. From there they can print and/or share on social media. This disconnected workflow allows the photo station and the print/share station to operate simultaneously. It also gives event attendees greater flexibility to pick their favorite images from the whole gallery. I changed over to a complete Windows based version. The reason for it was that windows tablet pc are pretty inexpensive now and windows 8.1 is much more flexible as any android or IOS system. It works also with android but to share a folder via wifi from a windows device to a windows device is much easier as with android to windows. Now I am totally plug’n’play able. Plug in the Power cord, switch on all devices, waiting for about 2mins and then ready to go. That’s quite easy. The DSLR is connected via USB to an 10” Windows Tab with Atom CPU, 2MB Ram and 64GB SSD (160 Euro), which is inside the white box. I use a very simple tethering software which is called TetherPro. It shows the last taken photo in FullSceen and it stores all taken photos in a dedicated folder on the tablet. This folder is shared via wifi. A command line script on my print/kiosk station checks this folder and compares it with the IPB hotfolder. The script syncs all new photos to the IPB hotfolder and this works very stable, fast and easy. It’s amazing how stable and fast it works. During the last 3 weeks I had 5 events without any trouble or accident. 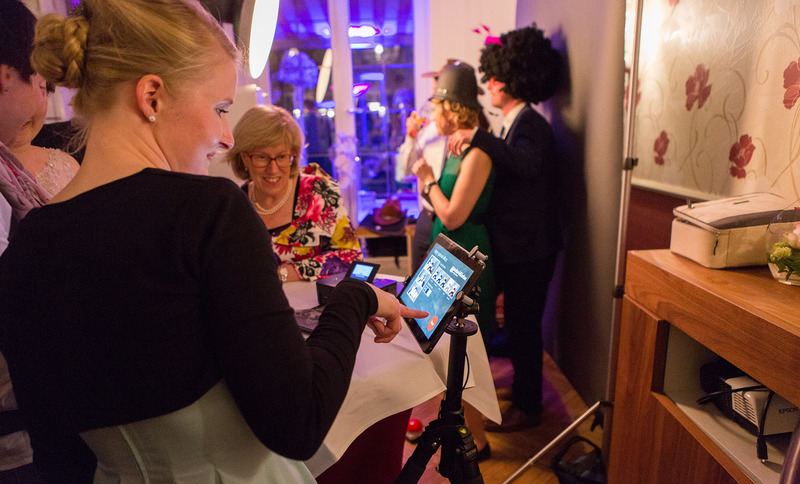 2 events were only photobooth events without any additional assistants. That means, I build up and prepared everything and leave the photobooth guests alone with my equipment. I was ready for telephone support but no one rang me up. With splashtop and a mobile UMTS Card I was able to logon on both devices but there wasn’t any need to do it. Everything worked perfectly. Oliver uses several optional features of Instant Photo Booth for his setup.